We woke to sunny clear skies and calm water! We hiked a trail along the hills overlooking the lake. We had an easy hike back. It was tempting to spend the sunny day in one spot. However, it was also a good day to get some more miles on the road so we loaded up and continued eastward toward the Campbell Highway. 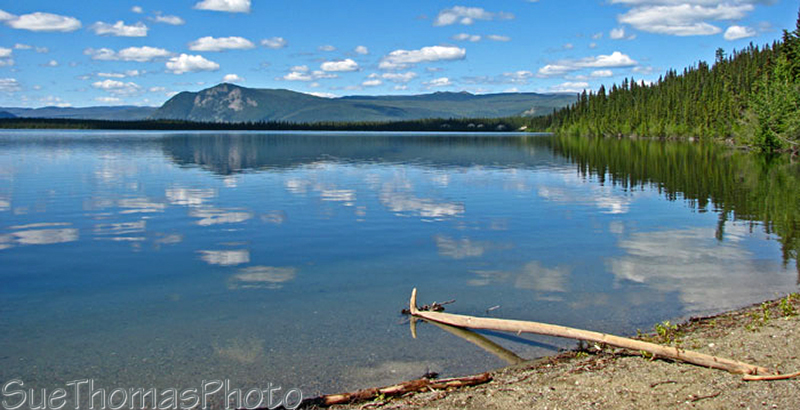 Blue skies and calm water greeted us at the Little Salmon Lake Yukon Gov't campground. This was a perfect place for lunch and a dog walk along the shore. A red fox treated us to some nice poses. 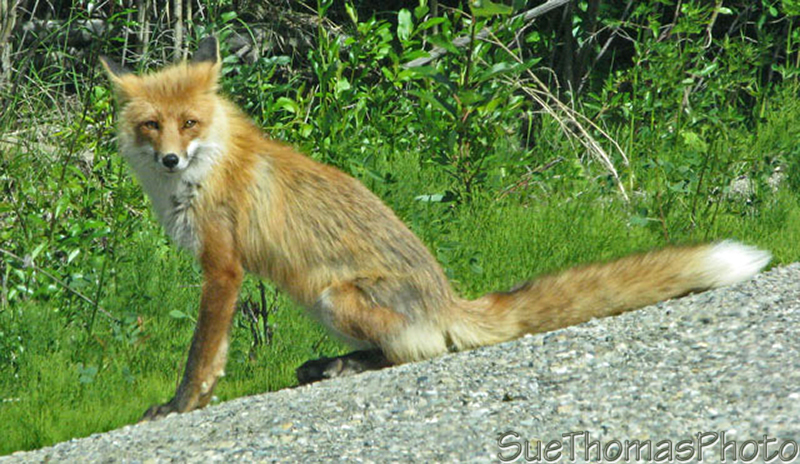 I think he was curious about the frenzied barking of our dog, so the fox sat a while listening intently. On previous trips we had not driven the 10 km side road to the town of Faro. 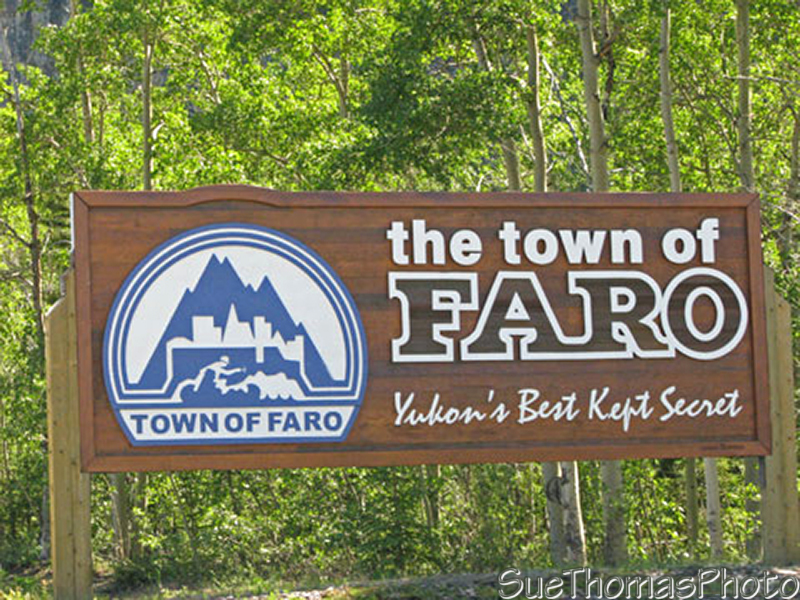 Faro was a mining town. 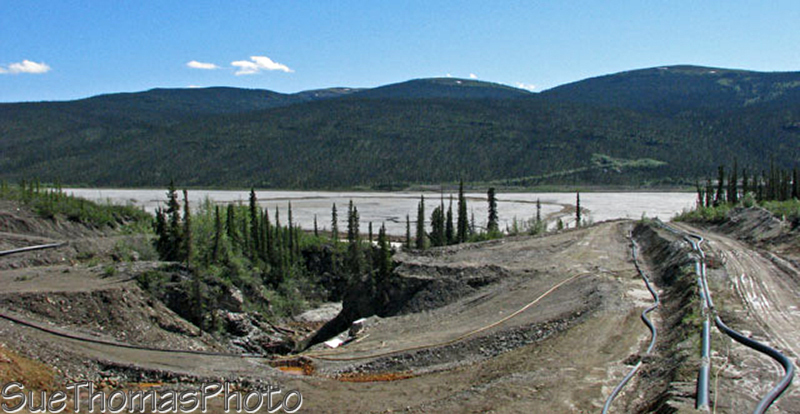 The mine began operations in 1969 and was one of the largest open-pit lead and zinc mines of its day. Mining continued with interruptions until 1998 when the operator declared bankruptcy. We were pleasantly surprised by how well-maintained the town was, despite many of the houses being vacant. There is also a very nice RV park in town, along with a great golf course. We drove the 22 km gravel road up to the old Anvil Range Mine. The closed mine consists of waste rock dumps, ore processing facilities, water treatment plants, tailings disposal facilities, and offices, shops and miscellaneous buildings. The bright red truck at the entrance to Faro is a 1968 65-ton ore haul truck. After six years of operation these trucks were replaced by 120-ton trucks and later by 170-ton haul trucks. We should have stayed the night at Faro at the RV park. However, our itch to see what was around the next corner and over the next hill caused us to carry on to Ross River, where we hoped to drive the North Canol Road. 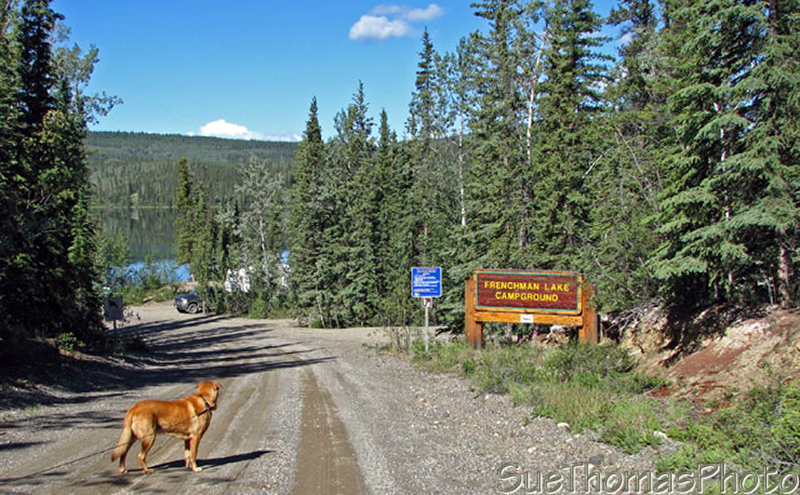 That didn't work out so we backtracked the 10 km to the Campbell Highway and the few kms west to the Lapie Canyon Yukon gov't campground. There we debated options. It seemed we were destined to continue heading south to Watson Lake on the Campbell Highway.